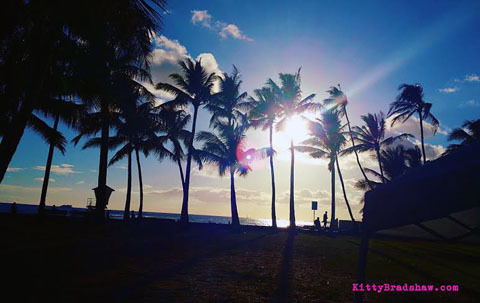 Hawaii is my sanctuary- a place to heal and reflect. Prior to my first visit it felt like a postcard I would never get to. Motivated by a season passing through I ended up here at the end of a long, heart breaking series of “what could have been.” I needed Hawaii to save me. My tropical savior. An island Jesus that forgives me for all my sins, God is here… I needed to be close to him. A drug to numb my broken spirit. Here my alias reflects back at me through the water, get lost, forget who I am, become a lost soul bumping into other ghost uprooted and transplanted. There is comfort here, the bottom of the bourbon glass. My gypsum tribe has built many walls collectively sitting at the bar. Seeking, running, hiding, here I am not up for prosecution. Hawaii is whats at the end of the rainbow. We exist, to not exist… don’t ask don’t reveal. Leave your past at the door, I don’t want to know what lays deep on your soul or heavy on your mind. Your burden has no face. Let’s go to the beach and keep our skeletons at bay. On this day I was at one, floating, at peace ready with no resistance. The water was transparent, full of life…. but I was the one that took the bait. At first I saw just a shadow as he pulled me from the water and dislodged me from the hook. I barely had a voice, no sight nor sound…. don’t tell me the truth, don’t tell me your name. The sun shed light, I was sparkling and broken… the ultimate catch. He put me in a bucket, I thought it was paradise. I filled in the blanks as the sun began set on the perfect day. Something so beautiful and fictional become clear… I wasn’t nothing more than an option for a meal. At one point I became so exhausted I broke down and asked for him to reveal himself. On this day the sun set and the shadow disappeared… too far gone to let me down, too occupied to say goodbye, too calculated to see me back to the water. On this day I retreated back to from which I escaped seeking an, “I told you so” and my old room back. I got too confident, I made the same mistake twice.